When will be Nirvanna the Band the Show next episode air date? Is Nirvanna the Band the Show renewed or cancelled? Where to countdown Nirvanna the Band the Show air dates? Is Nirvanna the Band the Show worth watching? 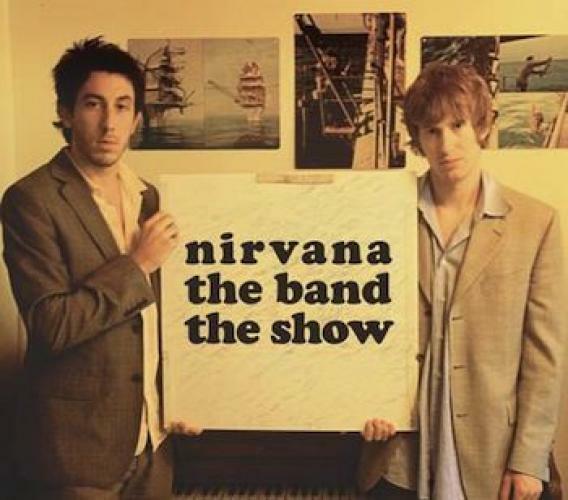 Fans of Toronto web series Nirvana the Band the Show: Matt Johnson and Jay McCarrol are back, and this time they'll be on proper television. Vice selected the show to be its first scripted series for its Viceland channel, and will broadcast an entirely new version of the comedy this fall. If you're not familiar, the series follows two hapless BFFs in a band called Nirvanna (they've added the second ‘n' so they can legally get away with more) who are desperate to get a show at the Rivoli. Matt and Jay go to great lengths, trying absolutely anything to get the attention of the Queen West venue – except the most obvious thing, which would be to write and rehearse some songs. Nirvanna the Band the Show next episode air date provides TVMaze for you. EpisoDate.com is your TV show guide to Countdown Nirvanna the Band the Show Episode Air Dates and to stay in touch with Nirvanna the Band the Show next episode Air Date and your others favorite TV Shows. Add the shows you like to a "Watchlist" and let the site take it from there.